at Sehsucht, Hamburg. 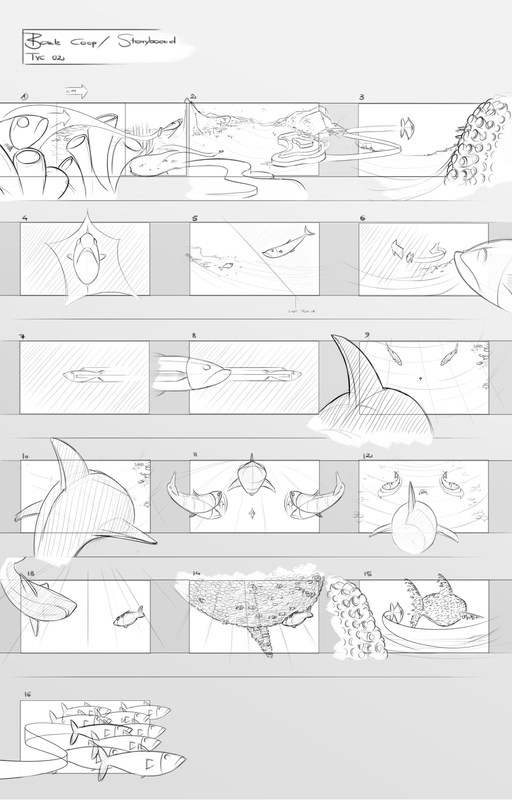 See the final film below the storyboards. COOP “Underwater World 2013” (Racing) from Sehsucht on Vimeo. COOP “Underwater World 2013” (Herring vs. Shark) from Sehsucht on Vimeo.